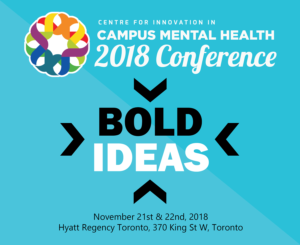 Registration is now open for Bold Ideas, the ​Centre ​for ​Innovation ​in ​Campus ​Mental ​Health (CICMH) annual ​conference on ​post-secondary ​mental ​health ​across ​Ontario ​and ​Canada. ​This year’s conference will focus on ​innovative ​designs ​and ​solutions ​to ​the ​challenges ​in ​addressing ​mental ​health ​needs ​on ​campus. 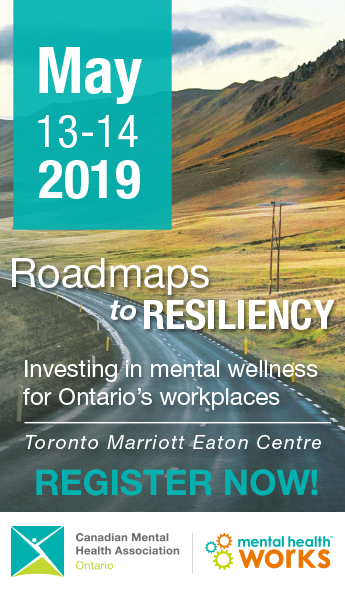 The event will feature keynote speakers who will share strategies on growing institutional capacity to safeguard student mental health, as well as more than ​a ​dozen ​workshops on ​​promising ​and ​emerging ​practices ​in ​the ​sector.